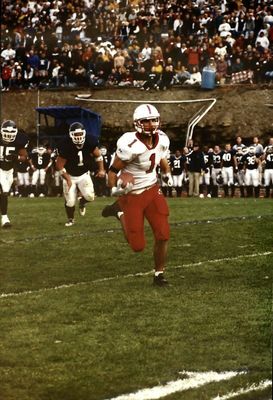 Cortland's #1 running with the ball being chased by two Ithaca players. 1999 Cortaca Jug. Cortland defeated Ithaca 26-21.